Earlier today Samsung decided to finally share availability details for its Gear S3 smartwatches. That information, however, only applies to the devices that will be sold through big third party retailers such as Amazon and Best Buy, and also by Samsung itself. 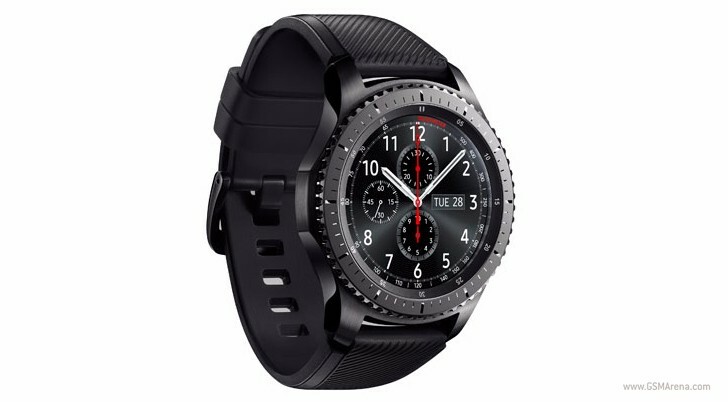 The Korean company mentioned that the LTE-capable Gear S3 frontier model would be available from AT&T, T-Mobile, and Verizon as well, but release and pricing details in this case are all up to those carriers. Well, here we are a few hours later and the first one of the three is sharing exactly that information with us. We're talking about AT&T. The company will start taking pre-orders for the Gear S3 frontier tomorrow, on November 4. It doesn't say when it's going to be available, but we assume AT&T's release date might coincide with Samsung's, in which case it's going to be November 18. If you want to pick up a Gear S3 from AT&T, you'll need to shell out $17.50 per month for it for 20 months, using the carrier's installment plan. That adds up to a grand total of $350, which is exactly how much every other retailer is asking for it. The alternative is to sign a two-year contract for the Gear S3, paying just $49.99 for it - but the caveat here is that this price only applies if you also buy a Galaxy smartphone on AT&T Next.